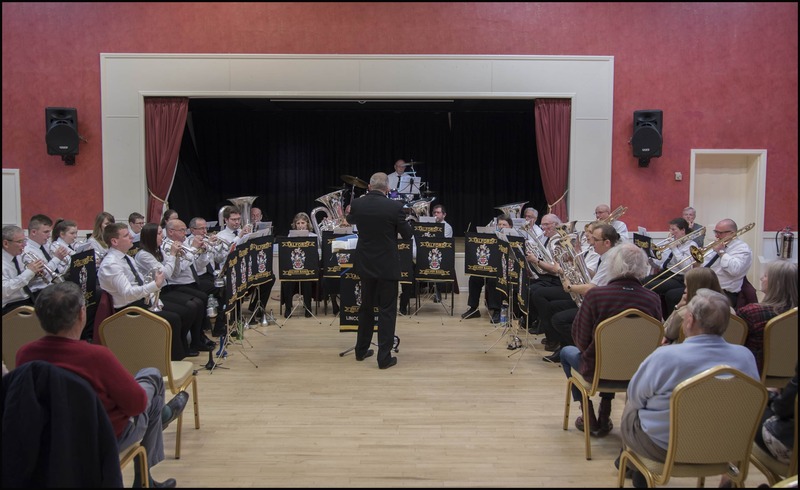 A crowded Corn Exchange in Alford determined Alford Silver Band’s 2018 programme curtain raiser on Saturday 21st April to be a huge success. The band has been popular throughout the East Lindsey area for many years having built up a great reputation for quality music played to a high standard and providing plenty of entertainment. But this year it looks as if that popularity is set to increase significantly as new fans crowded in to the Corn Exchange to hear the band. And no wonder, as under its new musical director, David Boorer, not only has an already high standard of playing increased, but David’s unique style of presentation and commentary kept the audience highly amused. His sense of mischievous fun has already resulted in the playing membership of the band voting him as the “Player Personality of the Year”, an accolade recognised with the award of the Sally Walker Memorial shield during the evening. And David himself played a solo accompanied by the band – unusually for a brass band, on a bassoon! Although David is a very fine tenor horn player, the bassoon is his main instrument, and one which he played during a long career with the Royal Marines band. His zany rendition of “Lucy Long” had the audience in stitches, and the band wondering just what he was going to do next! The band played a hugely varied programme that certainly contained something for every taste. 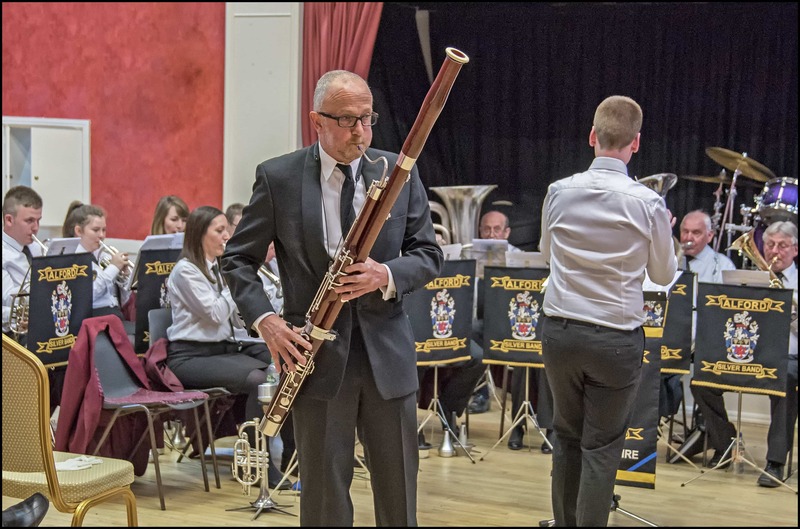 The April concert in the Corn Exchange is traditionally the band’s first big concert of the year,” commented the band chairman, Martin Briggs. “From here on, it’s almost non-stop throughout the rest of the year. “David Boorer has proved to be a real find. He’s a hard task master who drives us relentlessly to improve the playing standards, and this is paying dividends. But he also has an incredible sense of humour and we have a great deal of fun in the band room as well as working hard. Though we are all exhausted by the end of rehearsal,” he added with a grin. The band has a very active programme of engagements throughout the year. The next two engagements fall in May, with performances at the Bateman’s Brewery Food and Drink Festival at the Wainfleet brewery on Sunday 6th May, and then entertaining the crowds in Tower Gardens, Skegness on Sunday 13th May. Both performances will be on between 2.00 and 4.00 pm.